A truly fascinating and well produced film for online retailer Lotty Blue. 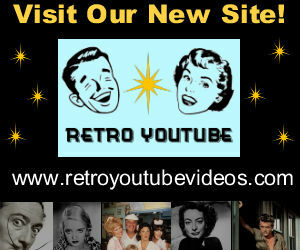 It is a wonderful look back at life in the 50s and features many products offered on their vintage site. Starring Lola Lamour, a singer and entertainer who specializes in music from the 1920's to 1950's, and her husband Kevin Massey. The video was filmed at Littywood Manor, a 14th century double moated manor house set in the rolling Staffordshire countryside. Be sure to check out this post to read about how this video come about.